soaks up stains and dirt like a sponge! 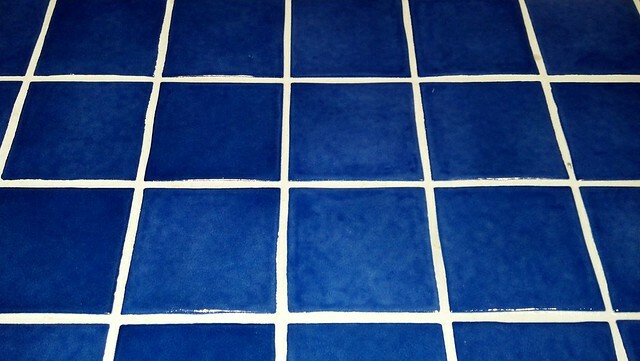 The Grout between the ceramic tile, in most homes today,is a porous, cement-based material, with a high degree of bondability, that is generally used for filling the Grout joints, or spaces between stone and ceramic tiles. 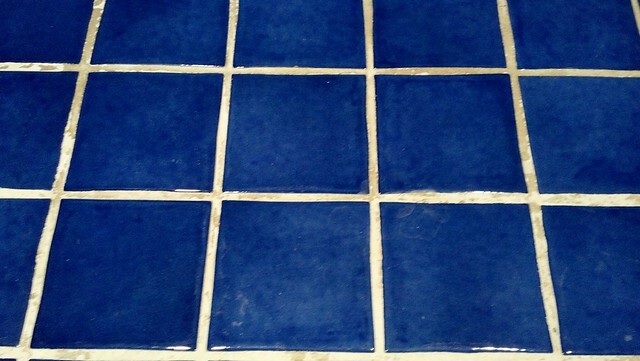 The grout joint between the tiles is usually very porous. Unsealed grout will soak up liquids, as well as soil or other types of material capable of staining your grout. Therefore, it needs to be sealed and maintained properly to prevent stains and discoloration. ” class /> Dirty grout diminishes the appearance of this tile floor. Protected tile and grout for ceramic tile will require less maintenance,be easier to clean, exhibit greater resistance to staining, and help to provide a healthier, bacteria and toxin free environment for your family. The best tile in the world can not look its best when it is surrounded by stained, dirty grout! Grout Shield Color Seal helps you keep your floors looking their best while adding a protective barrier against new stains setting in. Grout Shield Color Seal Leaves your grout looking like new! Grout Shield Color Seal has the grout looking like new, and adds a layer of defense against staining in the future. Grout Shield Color Seal is available in a wide range of colors and tones to suit your individual tastes. Affordable and easy to apply … our products make a great first step beautifying your home. Additionally, our grout cleaners, tile sealers and enhancers are also among the very best products available in our industry today! Let Grout Shield help you breathe life back into your tile floors! Grout Shield has the answer to all your grout related questions!